The printing industry has undergone some amazing changes since my dad opened the doors of The Printing Company forty years ago. Back then, I was running a Multi-1250 with a T-head. I can still remember burning and developing the plates for the press run. Fast-forward to today and we’re still hanging plates but they’re on a 40-inch Komori that runs substrates that were never before imagined. And, as you walk around our facility, we have presses that create dimensional print with embellishments like textures and specialty inks. We have departments that combine our traditional direct mail with the online world of social media, and email. And my father would be very impressed with some of the wraps and signage we create in our wide format department. As Westamerica has added services, equipment, and talented staff to our team, we’ve grown from a business forms manufacturer to a marketing and communications company. And we continue to see growth overall and within our different departments. For example, you may have seen some of the work our wide format department has produced. We’ve created everything from point of purchase displays, vehicle wraps to frosted window tints to giant trade show banners. Well, we’re about to take wide format up a notch. We’ve just installed a wide format printing system that will allow our clients to create beautiful retail and event pieces that can measure over 10 feet in width and virtually unlimited length. 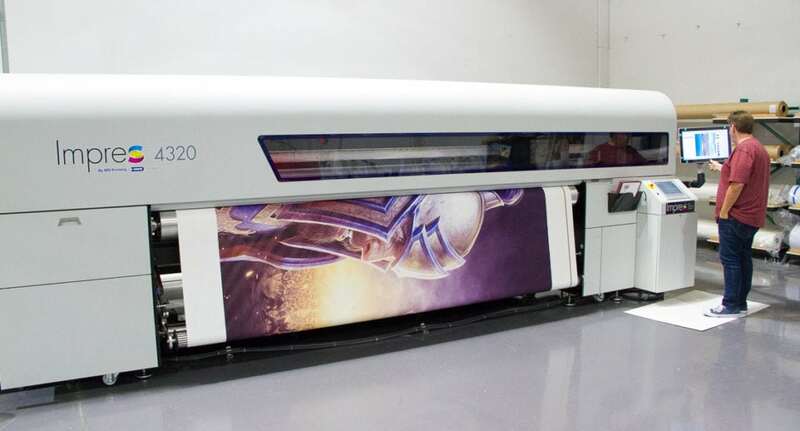 Our new Impres™ 4320 Soft Signage Solution is the ultimate in large format fabric printing. The digital inkjet technology, with premium printer heads, married with eco-friendly dye sub water-based inks produce stunningly brilliant vivid images and graphics. And, because it prints on fabric, the design possibilities are endless. Fabric has a number of advantages over vinyl. First, fabric is much lighter which means a significant reduction in shipping costs. It’s also easier to handle than vinyl. If vinyl signage is folded during shipping or installation it’s extremely difficult, if not impossible, to repair. A fabric sign can be folded and shipped with ease and, once it arrives at a retail customer, the folds can easily be steamed out of the sign. Wide format printing on fabric for in-store installations also looks better than vinyl; it has a more natural, organic look. Another advantage with fabric is it doesn’t reflect like vinyl. This is extremely important for signage at events that will be broadcast over the Internet or on television. Fabric has both interior and exterior applications. 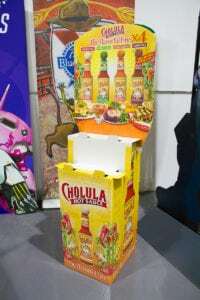 And, with the ability to print materials that measure over 10 feet wide, imagine the opportunities for seamless exhibition and stadium graphics. 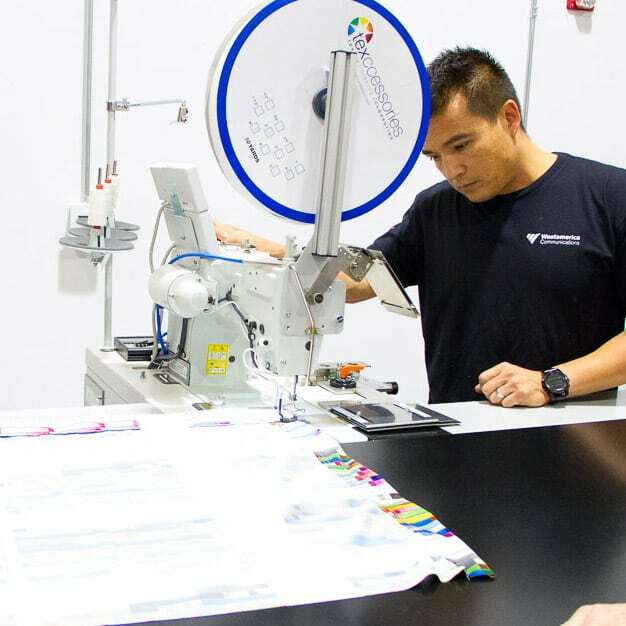 With our addition of wide format fabric printing, we are providing new creative opportunities and marketing strategies for retail stores and other clients we serve. I’m excited to see the many and varied ways that our clients will find to exploit the new service. This is an exciting time for us here at Westamerica Communications. We’ve come a long way from that Multi-1250.